I used a MFT waterbrush stamp and inlaid a black Paper Smooches die cut. Fabulous - you may not need new stamps but I'm pretty sure I do!!! I thought I didn't need those stamps, but they landed in my card and the click to purchase happened last night. Your card is gorgeous Ardyth! Fabulous! 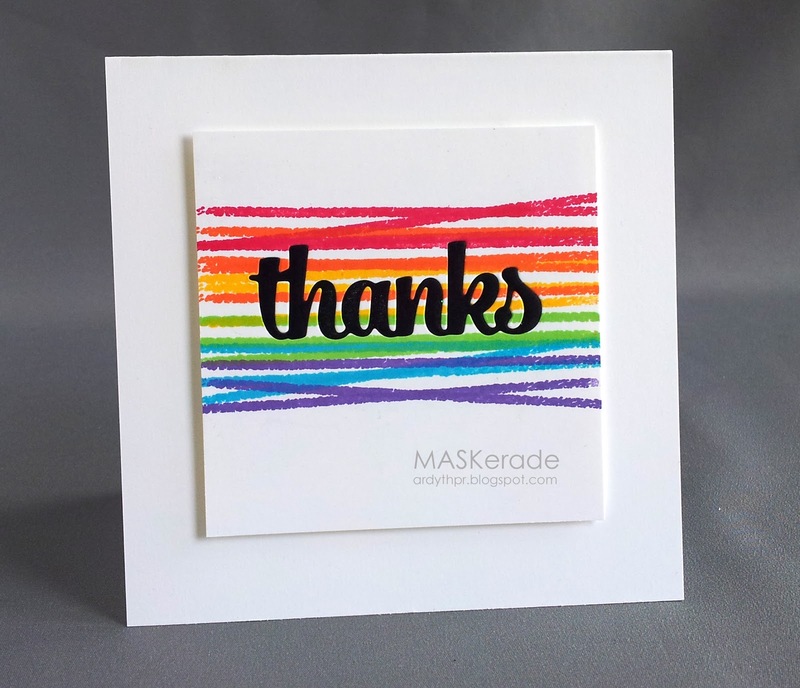 I love cards with rainbow colors! Those bright brush strokes are fabulous with the inlaid die cut. I tell you one thing, I absolutely NEED a water brush stamp - LOL! Gorgeous card! Love the inlaid die in the midst of all that color. So....did Ombre Builders end up in your cart after all? lol. LOVE this bright card, Ardyth! The black thanks is perfect! Love this so much. So, did you prove it to yourself or cave? P.S. I like this version better anyway. Fun, fun, fun! Awesome colors! I admire your 'valiant' attempt at trying to convince yourself not to buy more stamps! But, we all know that this great "sport" of card making REQUIRES us to have the most up-to-date supplies lest we fall behind the other competitors! Right? I simply adore this card Ardyth! It has taken me a little while to get around to telling you, but it is perfect! Pinned.